We start a new, weekly series of film specials at EFSP. 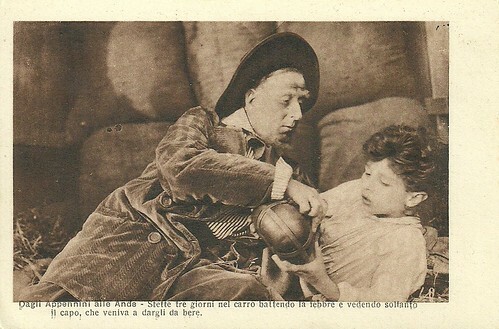 Today, a post about a quite unknown Italian film from the silent era, Dagli Appennini alle Ande/From the Apennines to the Andes (1916), based on a story by Edmondo De Amicis from the volume Cuore (Heart). 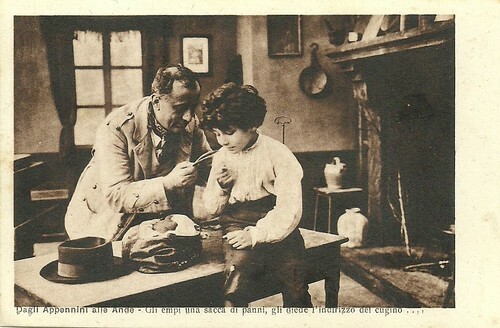 The film was directed by Umberto Paradisi and starred Ermanno Roveri as little Marco. 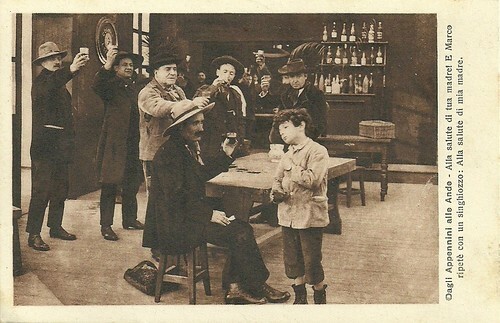 A series of 8 sepia postcards was published for the film. 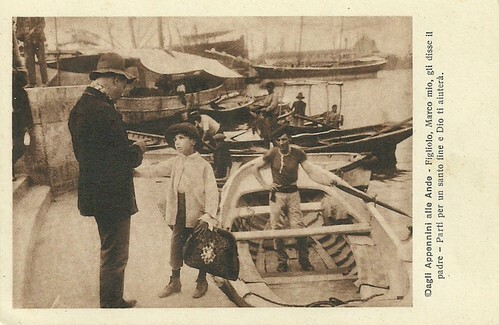 Italian postcard by Stabilimenti Alterocca, Terni. Photo: Gloria Film. 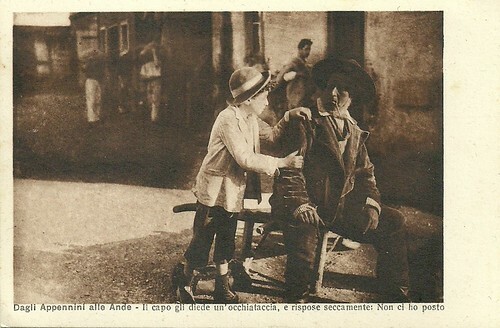 Publicity still for Dagli Appennini alle Ande (Umberto Paradisi, 1916). Caption: He filled a sack with clothes for him, and gave him the address of the cousin. 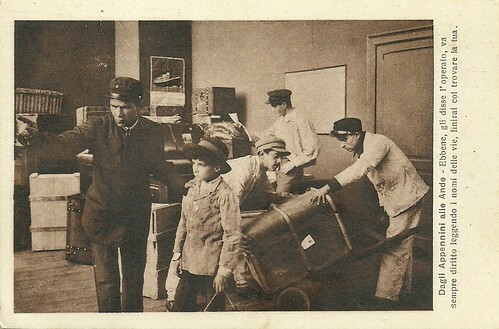 Italian postcard by Stabilimenti Alterocca, Terni. Photo: Gloria Film. Publicity still for Dagli Appennini alle Ande (Umberto Paradisi, 1916). Caption: My son, my Marco, the father said to him, you have set out on a holy undertaking, and God will aid you. The story of Dagli Appennini alle Ande/From the Apennines to the Andes narrates about a poor boy from Genoa, Marco (played by the then twelve years old Ermanno Roveri), whose mother is working in Argentine and has not responded to the mail from Italy anymore. His father and oldest brother cannot leave work, so young Marco leaves to make the big journey, helped and waved goodbye by his father. He sails from Genoa to Buenos Aires. In Buenos Aires he discovers that his parent's cousin Francesco Merelli, who had helped as an intermediate has died, and that his mother has moved to Cordova, together with the family she works for. This is the start from a sheer endless trip through the country, with Marco always discovering that the family has moved to yet another city. Re-meeting an old Italian he met before on the ocean liner, the man pities Marco and raises money in a bar to help him. Marco pleas to a man with a cart (the head of a convoy of wagons) to take him along, which the guy first refuses but then accepts, in trade of Marco doing hard work for him. When the boy falls ill, the man pities him and takes care of him. After more hardship, including a walk for miles and miles, Marco finally finds his mother, who had fallen ill and had refused to be operated. Now she will and she will be saved as well. Marco's mother was played by Fernanda Roveri, Ermanno's real mother. 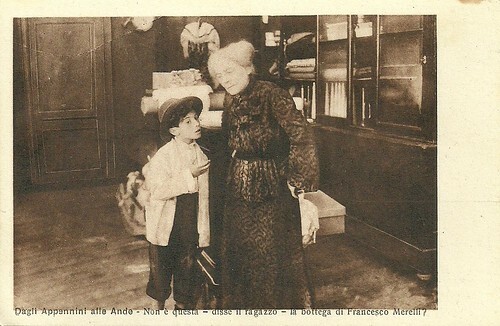 In 1994, Dagli Appennini alle Ande (1916) was restored and presented at the Cinema Ritrovato festival in Bologna. Vittorio Martinelli wrote in the catalogue: "Film Artistica Gloria was the first film company to understand that to support, through cinema, the war effort during World War I, you could not, as most of the production houses were doing, rely on a ridiculous strongmen as Maciste or on a comedian as Cretinetti who succeeded to bring down a whole regiment of Krauts with his jokes and to win the war. Gloria had a more refined idea and adapted for the screen the stories from the book Cuore (Heart), where the heroes were young Italians who sacrificed themselves for their country and fought against the enemies at all time, even in distant wars." Dagli Appennini alle Ande had a good reception in Italy. During World War II, a new sound version was produced, Dagli Appennini alle Ande (Flavio Calzavara, 1943), starring Cesare Barbetti as Marco and Leda Gloria as his mother. In 1959 followed again new version, Dagli Appennini alle Ande (Folco Quilici, 1959). 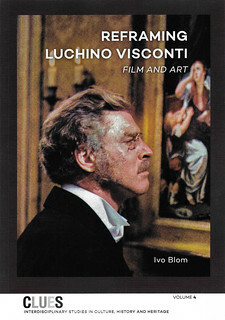 The lead roles were played by Marco Paoletti as Marco, Eleonora Rossi Drago as his mother, and Fausto Tozzi as his father. Finally, there was also a TV mini-series, Dagli Appennini alle Ande (Pino Passalacqua, 1990), with Umberto Caglini as Marco, and Giuliano Gemma. Italian postcard by Stabilimenti Alterocca, Terni. Photo: Gloria Film. Publicity still for Dagli Appennini alle Ande (Umberto Paradisi, 1916). Caption: For three days he remained in the wagon, fighting a fever, and seeing no one except the head, who came to give him to drink. Italian postcard by Stabilimenti Alterocca, Terni. Photo: Gloria Film. 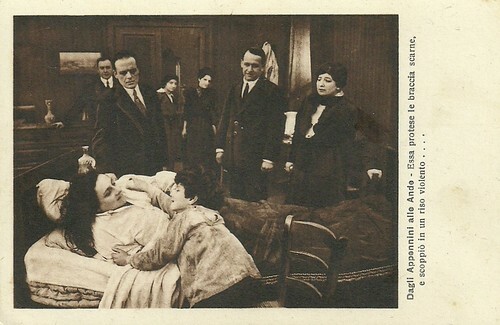 Publicity still for Dagli Appennini alle Ande (Umberto Paradisi, 1916). Caption: She stretched out to him her fleshless arms, and she burst into a violent laugh. Italian postcard by Stabilimenti Alterocca, Terni. Photo: Gloria Film. 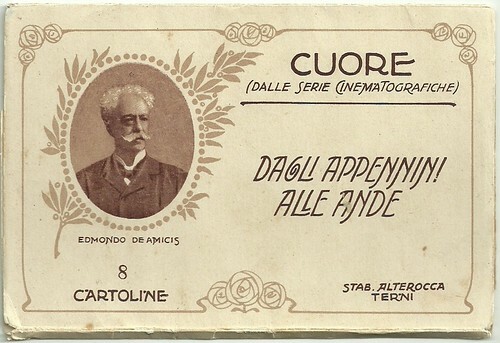 This is the cover of the complete series of 8 postcards for Dagli Appennini alle Ande (1916). 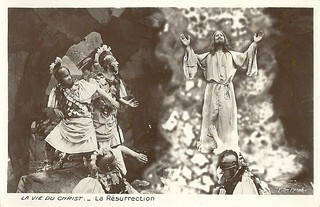 Some of the postcards depict situations differently from the film. For the full film of 37 minutes, see Cinestore of Cineteca di Bologna. See also: De amicis Letteratura opera omnia. 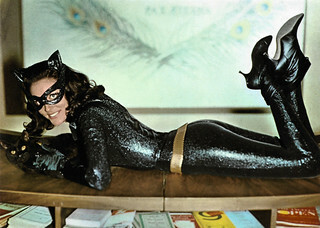 In the right column you will find the film specials that we have posted in the past. Source: Wikipedia (Italian) and IMDb.